Researchers from Cirad and Inra recently showed that inactivating a gene leads to a three-fold increase in recombination in crops such as rice, pea and tomato. The gene RECQ4 inhibits the exchange of genetic material via recombination (crossover) during the sexual reproduction process in crops. 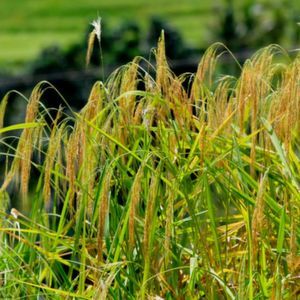 This discover, could speed up plant breeding and development of varieties better suited to specific environmental conditions such as disease resistance, adaptation to climate change. Paris/France — Recombination is a natural mechanism common to all organisms that reproduce sexually: plants, fungi or animals. The chromosome mix determines the genetic diversity of species. The plant breeding practised for the past ten thousand years, which consists in crossing two plants chosen for their complementary worthwhile characters, centres on that mechanism. For instance, to obtain a new tomato variety that is both tasty and pest- or disease-resistant, breeders cross and breed, via successive recombinations, plants that have the genes involved in taste and resistance. However, this is a lengthy process, as very few recombinations occur during reproduction. On average, there are just one to three genetic material crossover points between the chromosomes for every cross. It is therefore impossible to combine six worthwhile genes in a single generation, which is a major obstacle to crop improvement. So what is it that limits the number of recombinations? To find out, researchers from Inra identified and studied the genes involved in controlling recombination in a model plant, Arabidopsis thaliana . They discovered that one gene, RECQ4, is particularly effective at preventing crossing-over. To the extent that inactivating it doubles to quadruples recombination frequency! What happens with crops? This is what the researchers in a consortium involving Inra and Cirad set out to determine, by examining three agriculturally valuable species: pea, tomato and rice. And they succeeded. By "switching off" RECQ4, they trebled, on average, the number of crossovers, resulting in greater chromosome shuffling, hence increased diversity, with each generation. This will be a boon for future plant breeding operations at Cirad and Inra. Delphine Mieulet from Cirad was awarded a French Academy of Agriculture silver medal for this work.